The perfect men's 18K gold wedding ring for the individual seeking a timeless yet unique band. 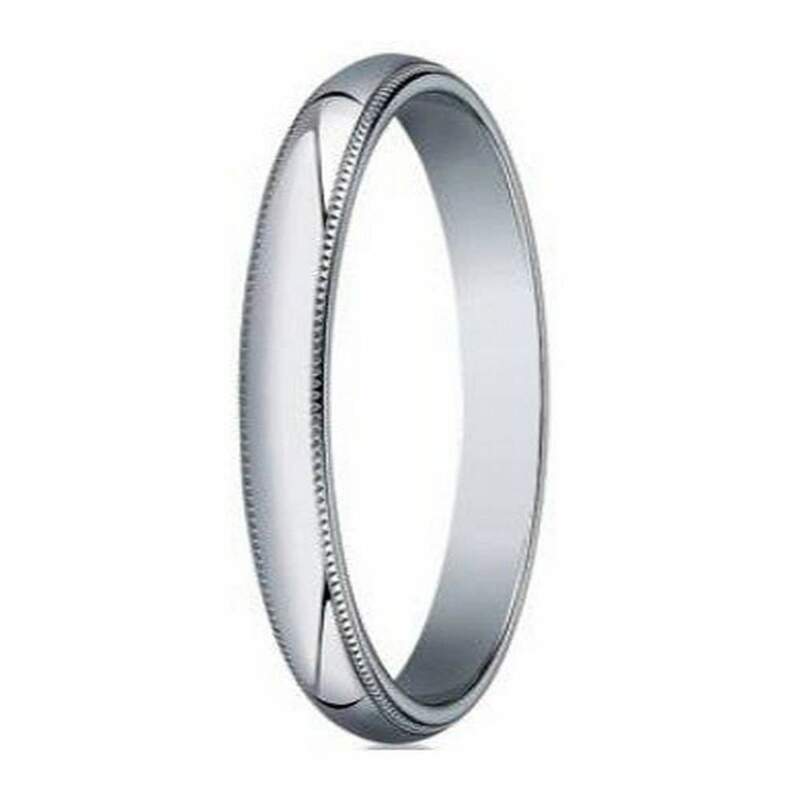 This 3mm traditional fit designer ring is made of gleaming polished 18K white gold and has a classic domed profile. Intricately wrought milgrain edges are an eye-catching final touch.